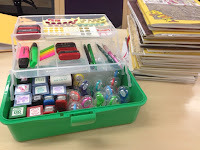 Mrs P Teach: What's in my marking kit? 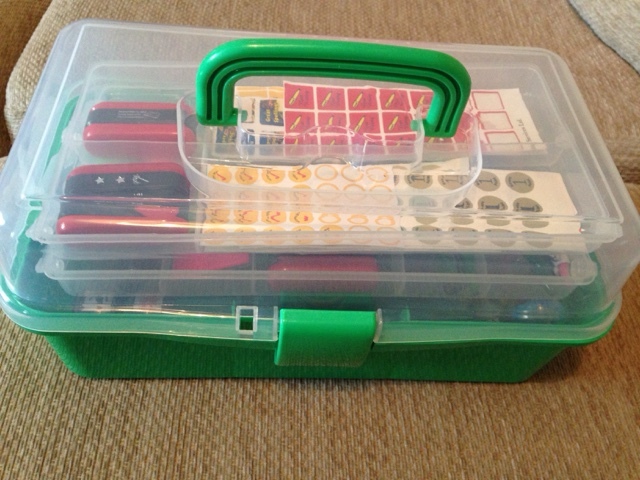 What's in my marking kit? 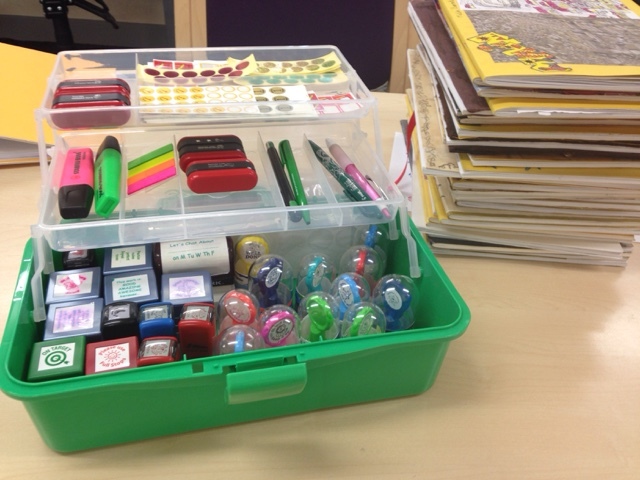 Recently I tweeted this photo of my marking kit as I was sitting down to mark some Y4 writing. 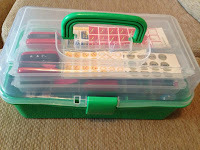 There was a lot of interest in the box and its contents so I thought I'd go through what I have in it and how I use them. The box itself is from Hobbycraft and was a bargain £5 when I bought it in the summer. Some colleagues have gone back to buy it and been successful. It's available in clear, pink, blue and green. Click on an item to view it on the seller's website - it will open in a new window so you can keep reading. I first started buying stampers when I found myself using the same phrases over and over again. These save me so much time. 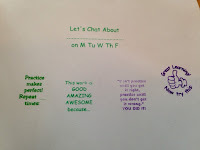 Growth Mindset Stamper - e.g. "Super Effort" or "Great Work - Keep It Up"
Some work simply needs to be seen by a teacher - it may be that no in depth marking is required or that children have marked the work themselves. Alternatively, you may need to get somewhere fast or just improve your life-work balance. A stamper like this will help you whizz through a set of books in around 15 minutes and praise children for their effort. Nowadays, stickers are useful for giving children information but they started life as pure rewards. Stickers like this, which are linked to children's hobbies and passions, can give children a wonderful feeling of pride when they see it on their work. My class love to get a special sticker, they even put in requests and are incredibly grateful when I buy some and use them on their work. Sometimes they choose to wear the sticker instead or collect them on Reading Records. These don't have a direct impact on learning but, in my eyes, anything which gives children excitement about learning is of value. 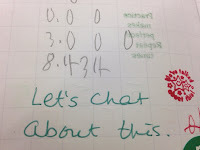 Our target sheets have numbers so we simply put the sticker and a number. The child can then highlight it on their record. We've found this has really enhanced children's engagement with their writing targets and the impact of them. These go hand in hand to encourage children with how they move on. I used to use just the stamper but I found myself writing the same thing out hundreds of times. 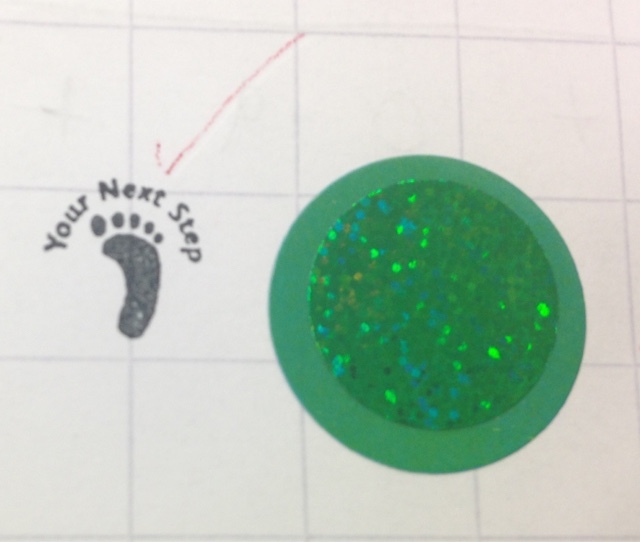 Instead of doing that, I now use the coloured dots to show children what their next step is and I display the code in the next lesson. I also link the colours in with our Good, Amazing, Awesome way of challenging children. You can read a bit about that here. Lots of people hate the idea of stampers like this and the "verbal feedback given" ones. However I find this is very useful to carry around when helping children during a lesson. Sometimes, especially in maths, you come across children who have got lots of answers wrong. 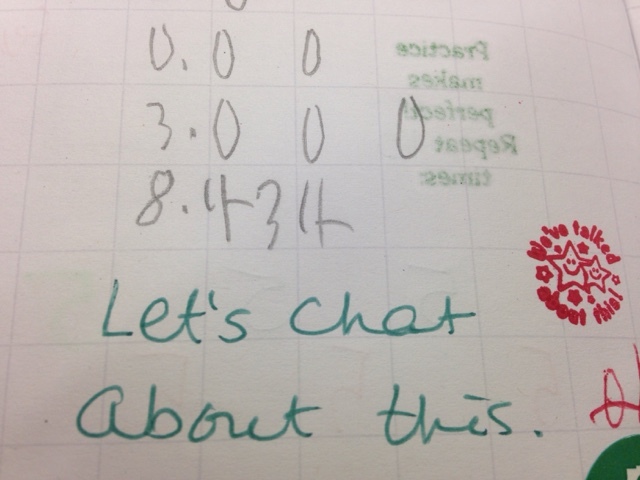 Instead of marking each one, I just stamp thing after their incorrect work, support them to improve their understanding and then I only need to mark the work below the stamper which the child has completed after my intervention. Sometimes I ask the child to note down what we talked about to help remind them of their mistake and their new knowledge. Obviously, this helps anyone who is looking at your books to see what happened in that lesson too. This is really important for assessment in this new curriculum. I have to look through children's books to check which objectives they are able to do independently. 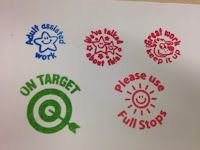 Every adult has access to this stamper in a lesson and it enables me to differentiate the independent work from assisted work. Green pens - my choice of marking colour. I love green! Random stampers - most of these I've inherited or bought very early on. Highlighters - see how I use them here. Tabs - to show where children have forgotten to go back and respond to feedback. 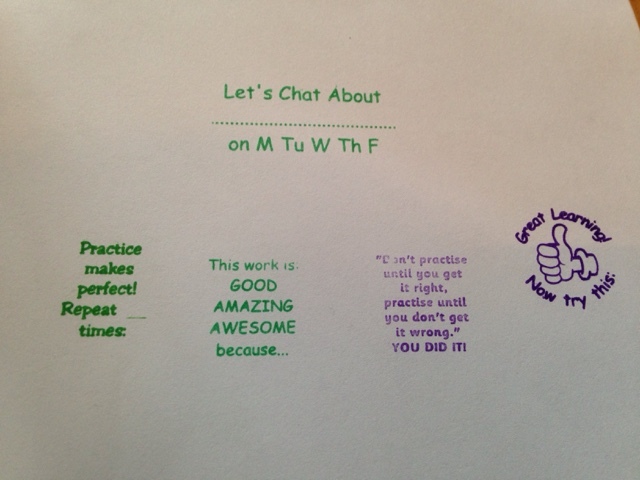 Stickers which praise handwriting and spelling. 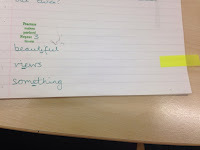 Tabs in action - show where a child needs to respond to feedback but has forgotten. Please note that some of the contents of my marking kit were given to me by Brainwaves.